A prince is a male ruler, monarch, or member of a monarch's or former monarch's family. 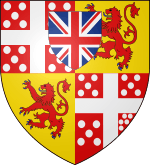 Prince is also a hereditary title in the nobility of some European states. The feminine equivalent is a princess. The English word derives, via the French word prince, from the Latin noun princeps, from primus (first) + capio (to seize), meaning "the chief, most distinguished, ruler, prince". 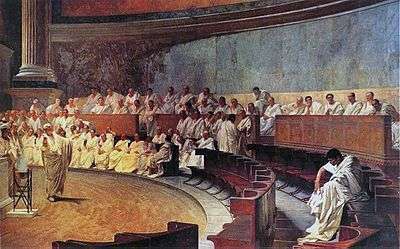 (older Latin *prīsmo-kaps, literally "the one who takes the first [place/position]"), became the usual title of the informal leader of the Roman senate some centuries before the transition to empire, the princeps senatus. generically, prince refers to members of a family that ruled by hereditary right, the title referring either to sovereigns or to cadets of a sovereign's family. The term may be broadly used of persons in various cultures, continents or eras. In Europe, it is the title legally borne by dynastic cadets in monarchies, and borne by courtesy by members of formerly reigning dynasties. The original, but now less common use of the word, originated in the application of the Latin word princeps, from late Roman law, and the classical system of government that eventually gave way to the European feudal society. In this sense, a prince is a ruler of a territory which is sovereign, or quasi-sovereign, i.e., exercising substantial (though not all) prerogatives associated with monarchs of independent nations, as was common, for instance, within the historical boundaries of the Holy Roman Empire. In medieval and Early Modern Europe, there were as many as two hundred such territories, especially in Italy, Germany, and Gaelic Ireland. In this sense, "prince" is used of any and all rulers, regardless of actual title or precise rank. This is the Renaissance use of the term found in Niccolò Machiavelli's famous work, Il Principe. In parts of the Holy Roman Empire in which primogeniture did not prevail (i.e. Germany), all legitimate agnates had an equal right to the family's hereditary titles. 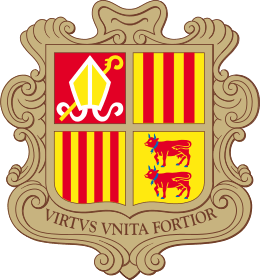 While this meant that offices, such as emperor, king, and elector could only be legally occupied by one dynast at a time, holders of such other titles as duke, margrave, landgrave, count palatine, and prince could only differentiate themselves by adding the name of their appanage to the family's original title. Not only did this tend to proliferate unwieldy titles (e.g. Princess Katherine of Anhalt-Zerbst, Karl, Count Palatine of Zweibrücken-Neukastell-Kleeburg and Prince Christian Charles of Schleswig-Holstein-Sonderburg-Plön-Norburg), but as agnatic primogeniture gradually became the norm in the Holy Roman Empire by the end of the 18th century, another means of distinguishing the monarch from other members of his dynasty became necessary. 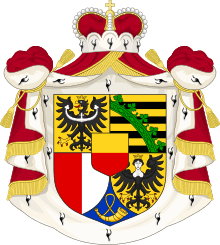 Gradual substitution of the title of Prinz for the monarch's title of Fürst occurred, and became customary for cadets in all German dynasties except in the grand duchies of Mecklenburg and Oldenburg. Both Prinz and Fürst are translated into English as "prince", but they reflect not only different but mutually exclusive concepts. 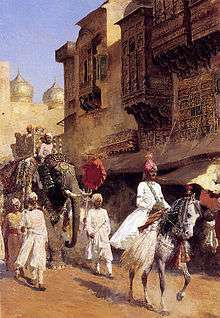 However, in cultures which allow the ruler to have several wives (e.g., four in Islam) and/or official concubines (e.g., Imperial China, Ottoman Empire, Thailand, KwaZulu-Natal) these women, sometimes collectively referred to as a harem there are often specific rules determining their relative hierarchy and a variety of titles, which may distinguish between those whose offspring can be in line for the succession or not, or specifically who is mother to the heir to the throne. Some princely titles are derived from those of national rulers, such as tsarevich from tsar. Other examples are (e)mirza(da), khanzada, nawabzada, sahibzada, shahzada, sultanzada (all using the Persian patronymic suffix -zada, meaning "son, descendant"). However, some princely titles develop in unusual ways, such as adoption of a style for dynasts which is not pegged to the ruler's title, but rather continues an old tradition (e.g., "grand duke" in Romanov Russia or "archduke" in Habsburg Austria), claims dynastic succession to a lost monarchy (e.g. 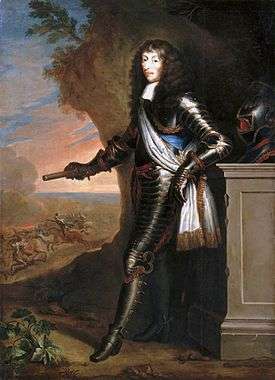 prince de Tarente for the La Trémoïlle heirs to the Neapolitan throne, or descends from a ruler whose princely title or sovereign status was not, de jure, hereditary, but attributed to descendants as an international courtesy, (e.g., Bibesco, Poniatowski, Ypsilanti). 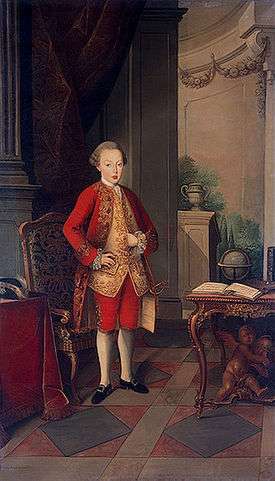 The Spanish minister Manuel Godoy was created Principe de la Paz or Prince of Peace by his king for negotiating the 1795 double peace-treaty of Basilea, by which the revolutionary French republic made peace with Prussia and with Spain. The triumphant generals who led their troops to victory often received a victory title from Napoleon, both princely and ducal. King William I of the Netherlands bestowed the victory title of prince of Waterloo upon Arthur Wellesley, Duke of Wellington after his victory over Napoleon I Bonaparte at Waterloo in 1815. 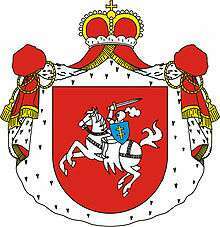 In Poland specifically, the titles of prince dated either to the times before the Union of Lublin or were granted to Polish nobles by foreign kings, as the law in Poland forbade the king from dividing nobility by granting them hereditary titles: see The Princely Houses of Poland. 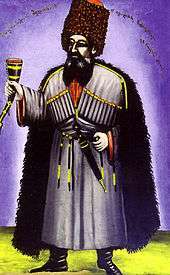 In the Russian system, knyaz, translated as "prince", is the highest degree of official nobility. Members of older dynasties, whose realms were eventually annexed to the Russian Empire, were also accorded the title of knyaz — sometimes after first being allowed to use the higher title of tsarevich (e.g. the Princes Gruzinsky and Sibirsky). 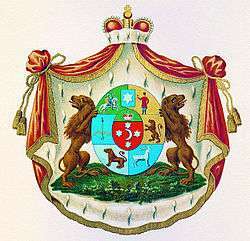 The many surviving branches of the Rurik dynasty used the knyaz title before and after they yielded sovereignty to their kinsmen, the Grand Princes of Muscovy, who became Tsars and, under the House of Romanov, Emperors of Russia. Hungarian (Magyar): Herceg / Hercegnő, or Fejedelem / Fejedelemnő if head of state. In Kazakh Khanate the title Sultan was used for lords from a ruling dynasty (direct descendants of Genghis Khan), that gives them a right to be elected as khan, as an experienced ruler; and an honorific tore (ru:Торе (род)) for ordinary members of a ruling dynasty. In Japan, the title Kōshaku (公爵) was used as the highest title of Kazoku (華族 Japanese modern nobility) before the present constitution. Kōshaku, however, is more commonly translated as "Duke" to avoid confusion with the following royal ranks in the Imperial Household: Shinnō (親王 literally, Prince of the Blood); Naishinnō (内親王 lit., Princess of the Blood in her own right); and Shinnōhi 親王妃 lit., Princess Consort); or Ō (王 lit., Prince); Jyo-Ō (女王 lit., Princess (in her own right)); and Ōhi (王妃 lit., Princess Consort). The former is the higher title of a male member of the Imperial family while the latter is the lower. See Principalia, the sultanates of Maguindanao and Sulu. In Thailand (formerly Siam), the title of Prince was divided into three classes depending on the rank of their mothers. Those who were born of a king and had a royal mother (a queen or princess consort) are titled Chaofa Chai (Thai: เจ้าฟ้าชาย: literally, "Male Celestial Lord"). Those born of a king and a commoner, or children of Chaofas, are tilted Phra Ong Chao (พระองค์เจ้า). The children of Phra Ong Chaos are titled Mom Chao (หม่อมเจ้า), abbreviated as M.C. (or ม.จ.). A Western model was sometimes copied by emancipated colonial regimes (e.g. Bokassa I's short-lived Central-African Empire in Napoleonic fashion). Otherwise, most of the styles for members of ruling families do not lend themselves well to English translation. Nonetheless, in general the princely style has gradually replaced the colonialist title of "chief", which does not particularly connote dynastic rank to Westerners, e.g. Swazi Royal Family and Zulu Royal Family. Nominally ministerial chiefly titles still exist, such as the Yoruba Oloye. 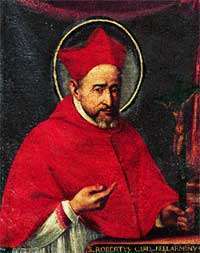 Furthermore, certain religious offices may be considered of princely rank, and/or imply comparable temporal rights. 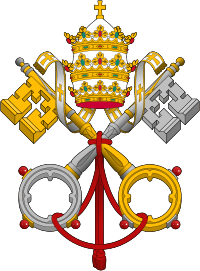 The Prince-Popes, Pope, Hereditary Prince-Cardinals, Cardinals,Prince-Lord Bishops, Prince Bishops, Lord Bishops, Prince-Provost, and Prince-abbots are referred to as Princes of the Church. Also in Christianity, Jesus Christ is sometimes referred to as the Prince of Peace. Other titles for Jesus Christ are Prince of Princes, Prince of the Covenant, and Prince of the Kings of the Earth. Further, Satan is often titled the Prince of Darkness; and in the Christian faith he is also referred to as the Prince of this World and the Prince of the Power of the Air. Another title for Satan, not as common today but apparently so in approximately 30 A.D. by the Pharisees of the day, was the title Prince of the Devils. Prince of Israel, Prince of the Angels, and Prince of Light are titles given to the Archangel Michael. Some Christian churches also believe that since all Christians, like Jesus Christ, are children of God, then they too are princes and princesses of Heaven. Saint Peter, a disciple of Jesus, is also known as the Prince of the Apostles. ↑ "Fürst - Origins and cognates of the title", 2006, webpage: EFest-Frst.